Best bit = The break by the halfie vs France. 20 years ago, hard to believe really. Kirwan was a magnificent Wing - first of the modern Wings that had pace and size. that scrum half took a hard tackle in his break!! awesome break too!!! 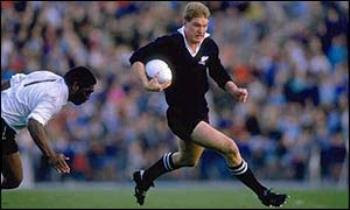 Great Player, but no way that´s the best try ever. Very nice one, but seems like he was playing alone, those italians wouldn`t tackle anyone. I'd happily call it the greatest solo try ever. but i gotta say, no disrespect the Italians, but the defense was poor. the last "tackle" if you want to call it that was pathetic. i know John's an amazing winger but he didn't even have to evade it. the Italian "missed" lol.